Xeriscapes can come in a wide variety of appearances. 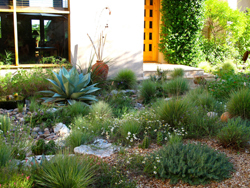 There is a xeriscape style for everyone. Below, find ideas to inspire you in the process of transforming your yard into a beautiful water-conscious space. 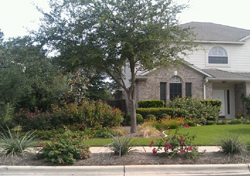 We have grouped the plans into the following styles based on common themes that we see in Texas xeriscapes. Thank you for saving water. Let your new yard be an inspiration to others. 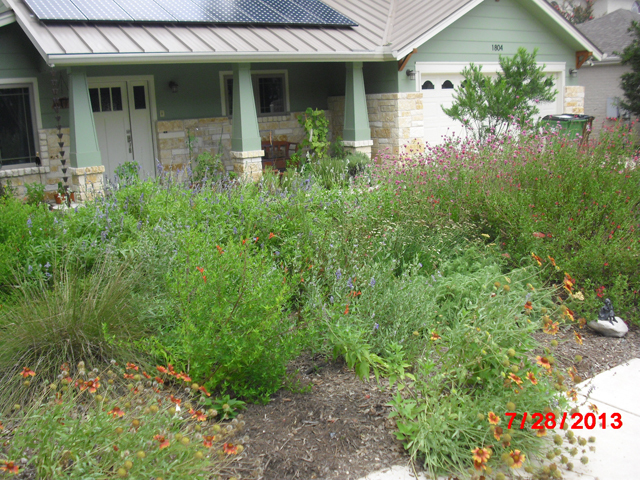 Together we are creating a culture of water conservation in Texas. 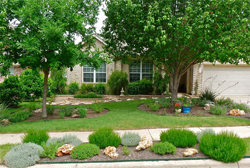 The classic xeriscape is the xeriscape style most similar to pre-xeriscape conditions. In this style, plant beds are enlarged to minimize turf area. The beds are covered in hardwood mulch and planted with drought tolerant plantings. The remaining sod area can be switched to buffalo grass or another drought tolerant variety. The cottage garden xeriscape is lush and relies heavily on flowering plants. It is a haven for beneficial insects and birds. 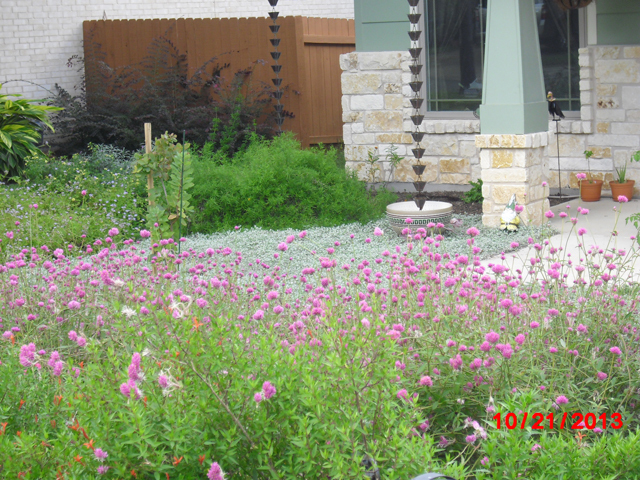 Plants may be closer together than in other xeriscape styles and colors and textures are showcased. Wildflowers are a great addition to a Cottage Garden as are drought tolerant roses. Beds are mulched. A winding stone path may complete the look. 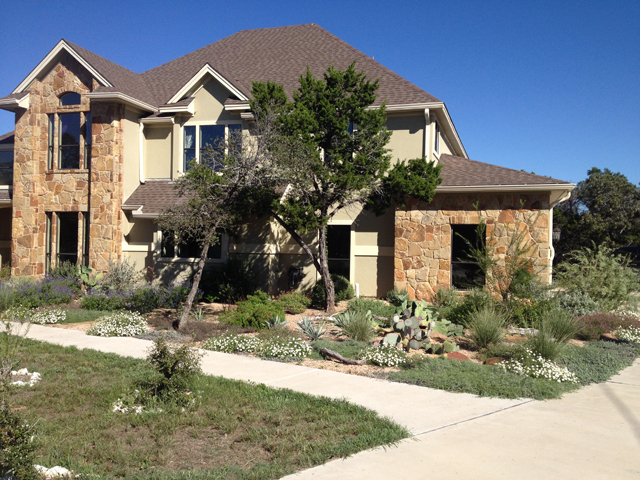 The Texas pride xeriscape is one that embraces the beauty of Texas and showcases our beautiful native plants. These xeriscapes are very hardy because the plants were made to live here. Use native stone and trees as accents. Plant beds can contain mulch in a more formal representation of the forest floor. We love these xeriscapes. They are excellent for wildlife, beautiful, and show an appreciation for your unique bioregion. 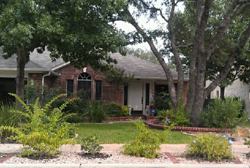 This type of xeriscape is what one often pictures when they hear the term. Rock and succulent desert plants such as cacti make up the design. Desert plants are usually spaced apart in the landscape. It is important to be sure that the rock areas contain plants and are not solid rocks because this can create a small heat island around the house and is not visually attractive to many people. Care should be taken to limit rock use and use Texas appropriate plants. 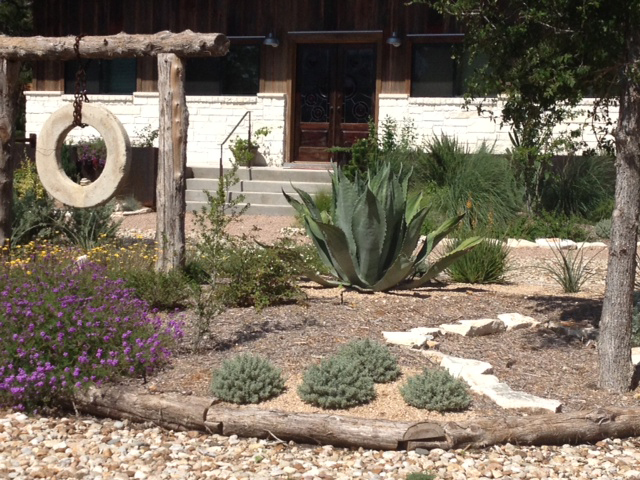 This xeriscape may make the most sense in West Texas. Care must also be taken that thorny plants do not invade the sidewalk.